Timzauto is starting a NEW Photo Challenge! Here is my entry.You can enter too, just submit one photo of your favorite flower or flower garden. Please also reblog this post to your respective blogs so everyone gets the word. Also remember to tag your photo timzauto photo challenge. Posted in Words of Wisdom and tagged arts, Billagio Conservatory & Botanical Gradens, Challenge, colorful, favorite flower, flowers, garden, Grandmother Musings, Las Vegas, nature, photo, photography, plants, postaday, timzauto photo challege, travel. Bookmark the permalink. Hi Jamie, great photo! I just liked it over at Tim’s blog. FYI – it’s Bellagio. Wonderful photo! 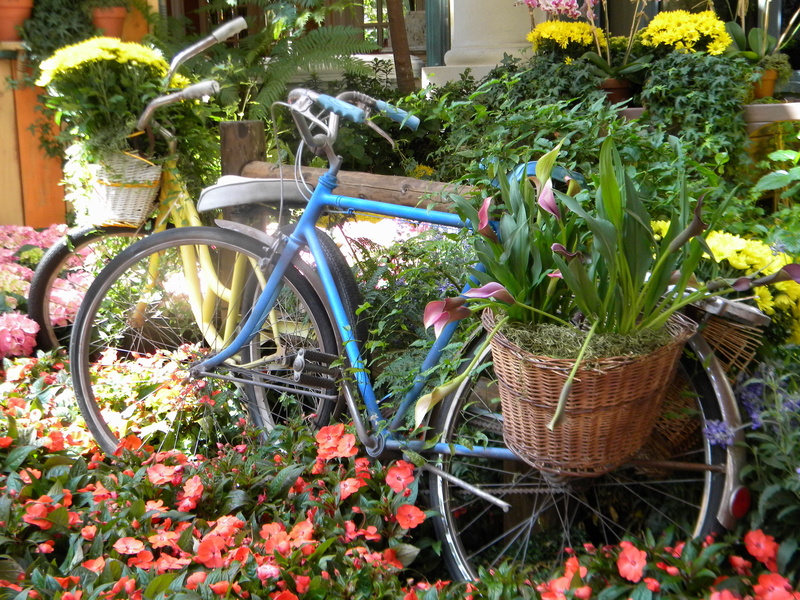 Wonderful garden–and what a great touch that bicycle is!